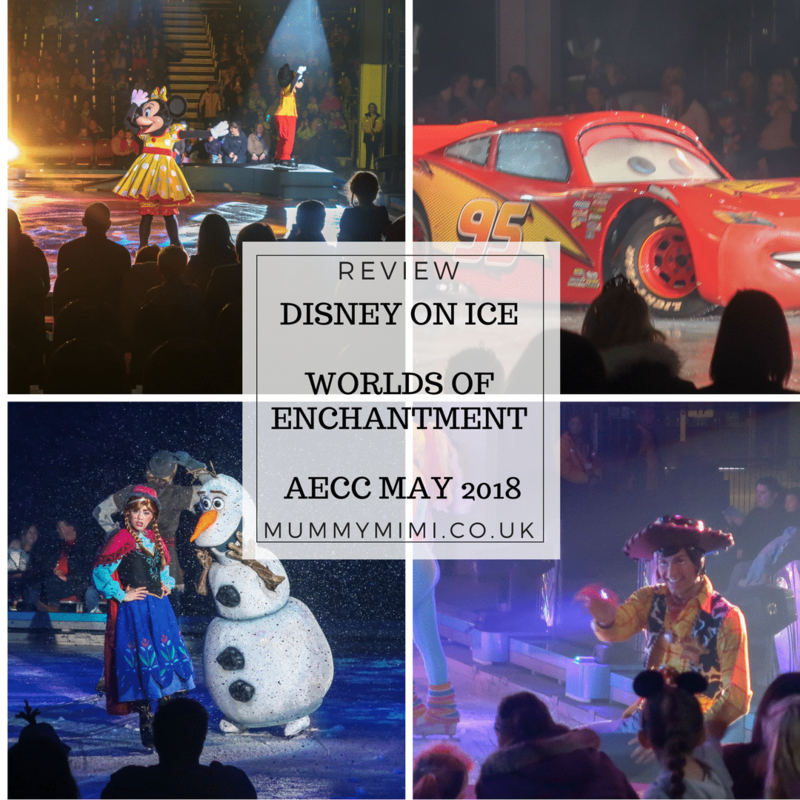 We were lucky enough to be invited along to see Disney on Ice Worlds of Enchantment at Aberdeen Exhibition & Conference Centre on Wednesday 2nd May 2018. 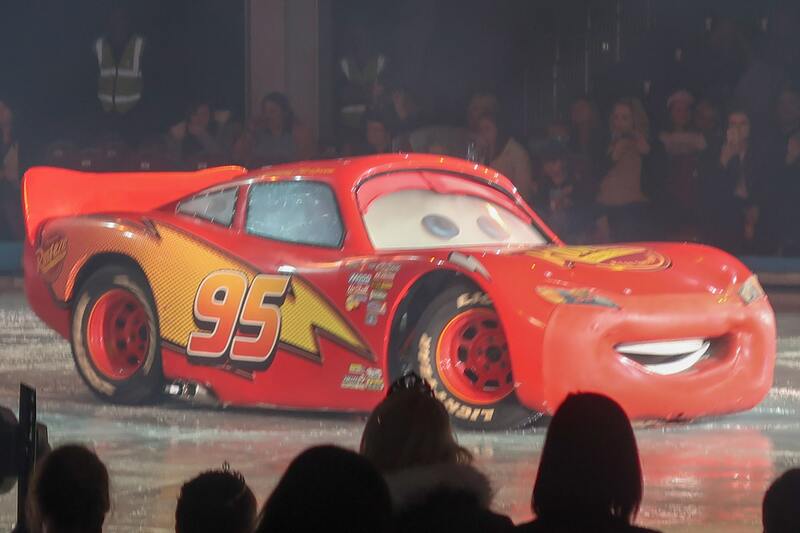 As soon as we seen Lightning McQueen was part of the show we knew S would love it! Before the show we had the chance to go to a meet and greet where S got to meet Mickey Mouse – however he was a bit unsure about Mickey! 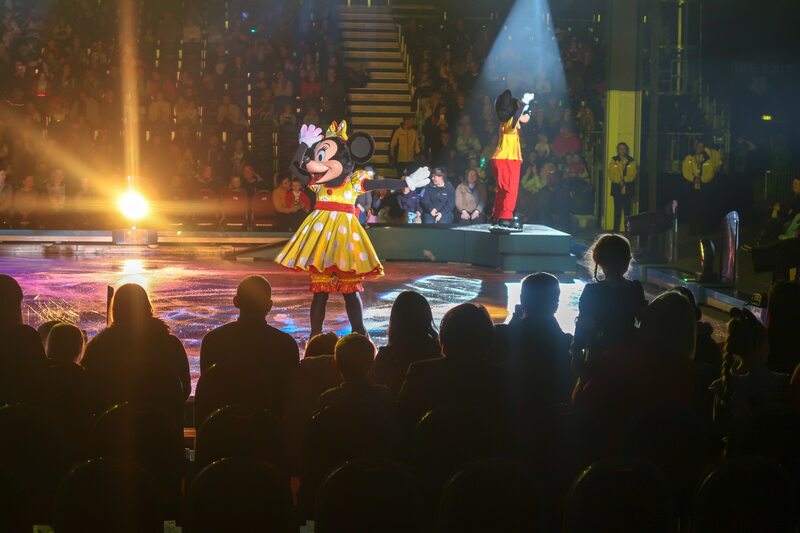 The show kicked off with the hosts Mickey and Minnie Mouse welcoming the crowd and hinting to what was coming next. 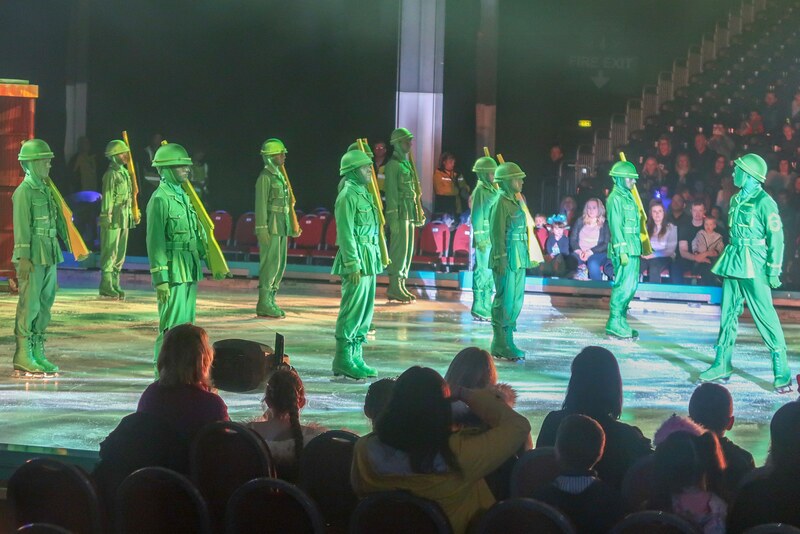 The Toy Story soldiers marched in in formation to kick of the segment with some impressive moves. 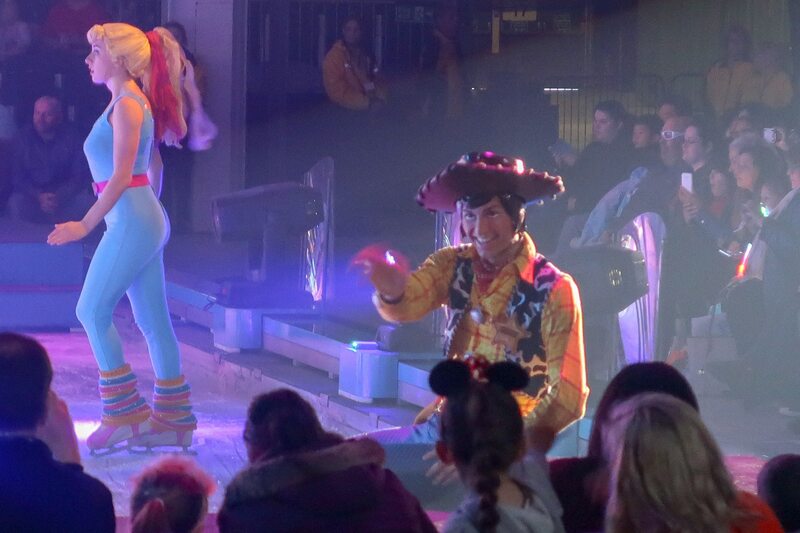 Then it was time for the star of Toy Story 3 to make their entrance with Woody, Buzz and the rest of the gang waving to the audience as they skated on the ice – S was waving back to Woody and Buzz amazed at seeing them on the ice. Acting out scenes from Toy Story 3 the characters told the story of the toys ending up at Sunnyside Daycare and planning their escape. With Barbie and Woody carrying out their plan to trick Ken they managed to rescue the rest of the toys. 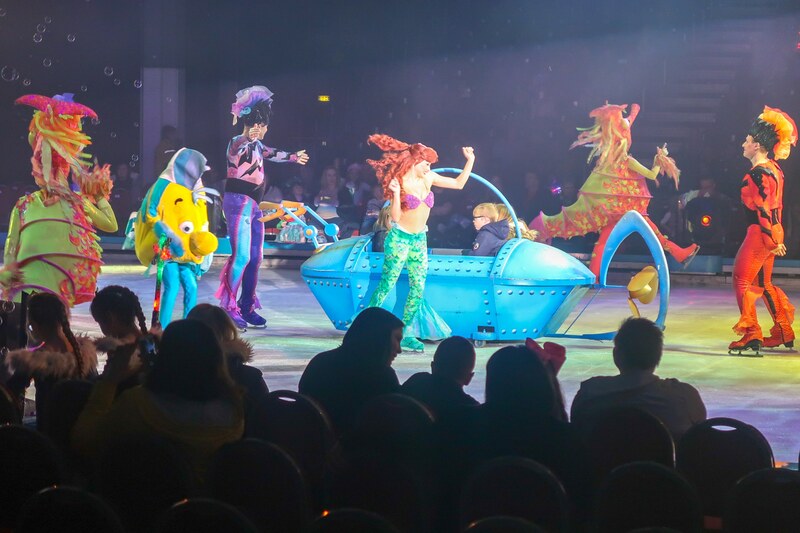 Next up it was the turn of The Little Mermaid with Ariel and Flounder appearing on the ice – this was one of my favourite films as a child and made me realise S hasn’t seen it yet so it’s now on our ‘to watch’ list! 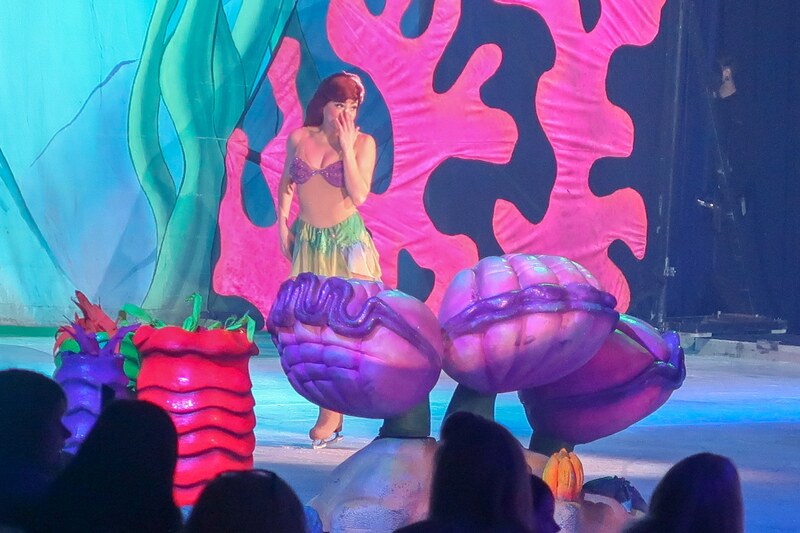 Bubbles also fell down adding to the ‘under the sea’ feeling of the segment. 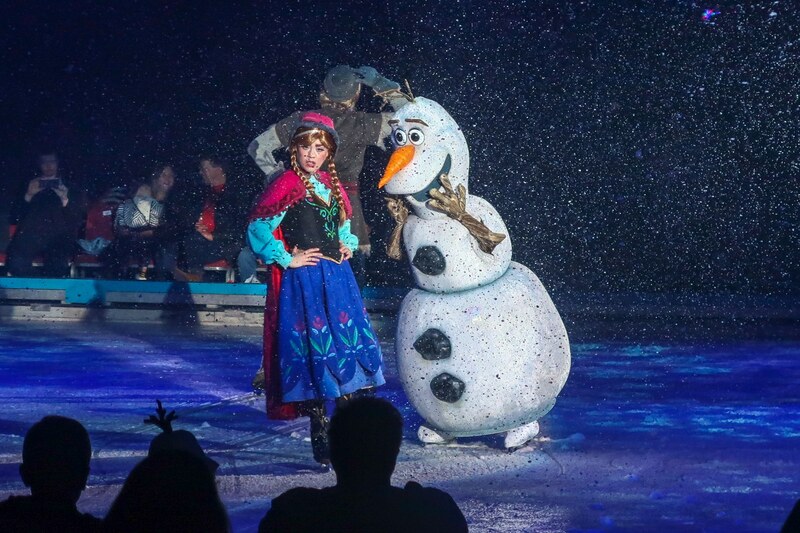 Four lucky children were also taken onto the ice as part of the main routine. 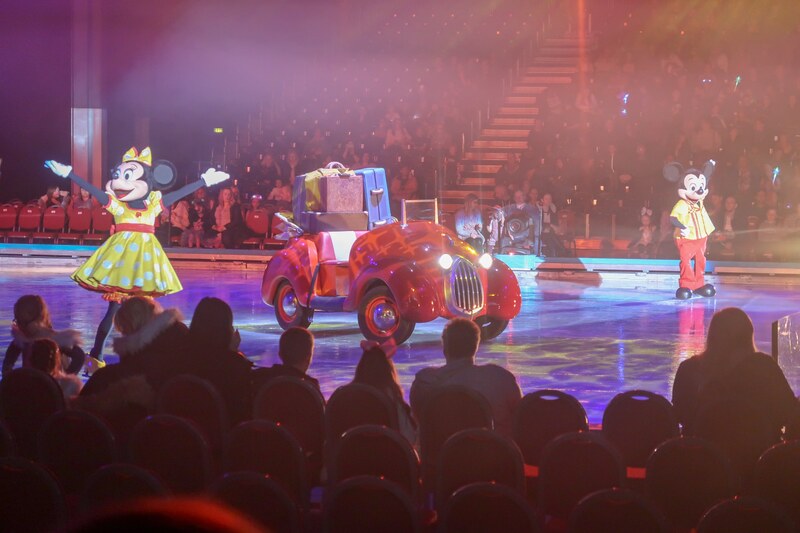 he interval Mickey and Minnie returned to the stage with their car which ran into problems so was the perfect lead in to the stars of Cars making their entrance onto the ice and what an entrance was made by the films stars. 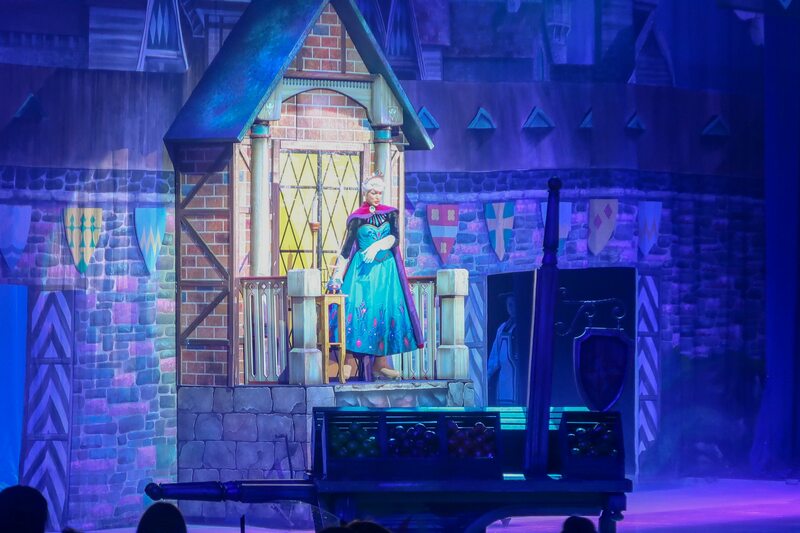 Seeing his face light up just summed up the magic of Disney to me and the amazement of these shows for wee ones. 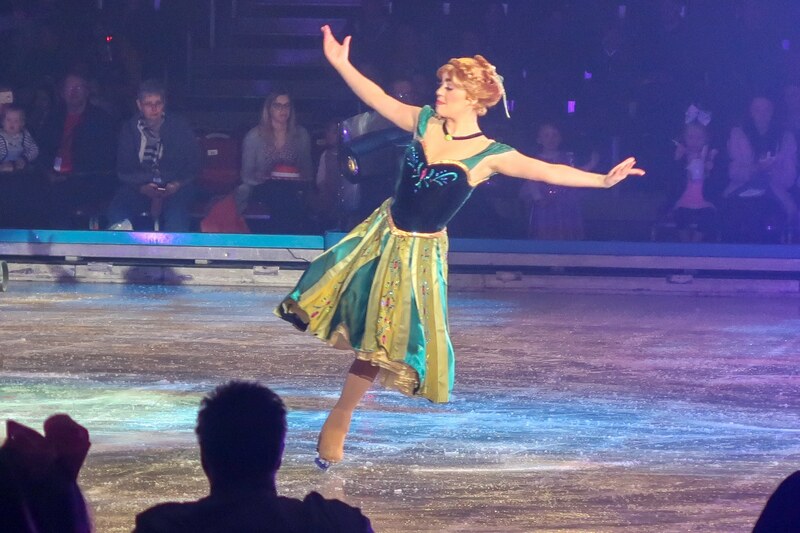 Last but not least was the turn of Frozen with impressive skating from Princess Anna, before Queen Elsa joining her with snow falling down after the had ‘frozen’ Arendelle. 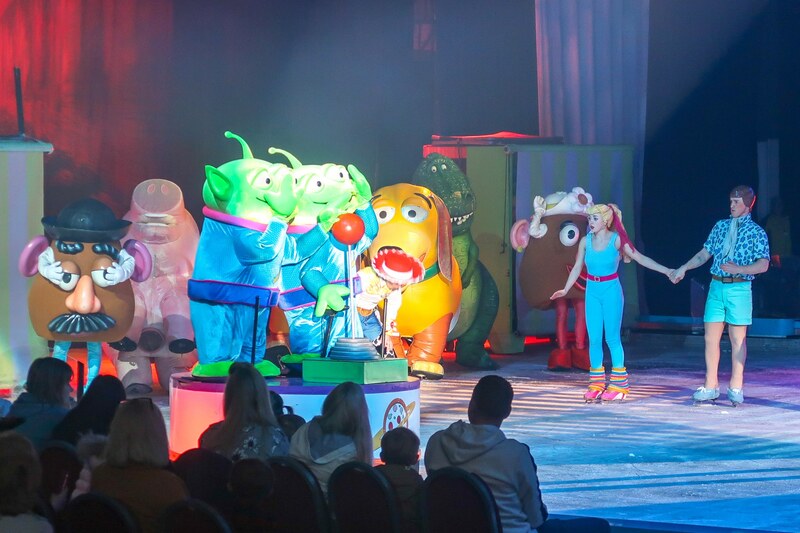 The show is great for all ages and just watching S’ face light up at seeing his favourites on the ice added to the magic of the whole show. In S’ words it was “Amazing! We seen the real Lightning McQueen”. 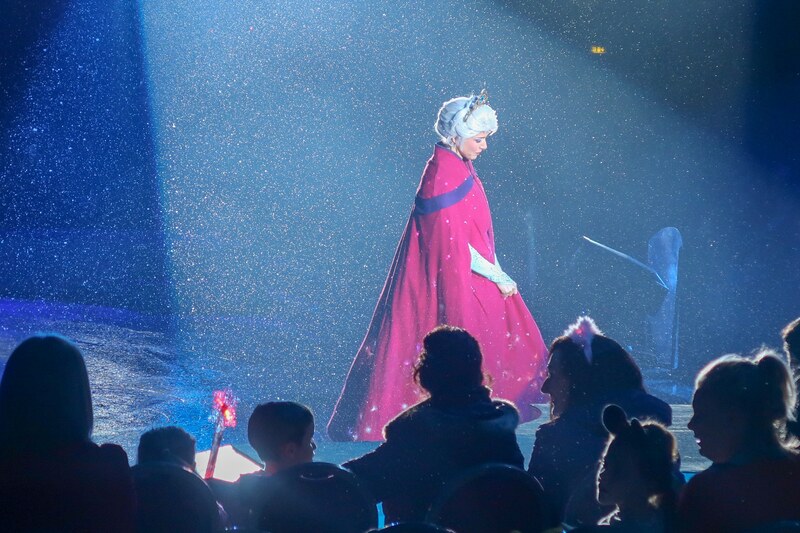 Looking around the arena you could see the delight on the kids faces at seeing their favourite stories coming to life on the ice – with lots dressed up as their favourite Disney characters. 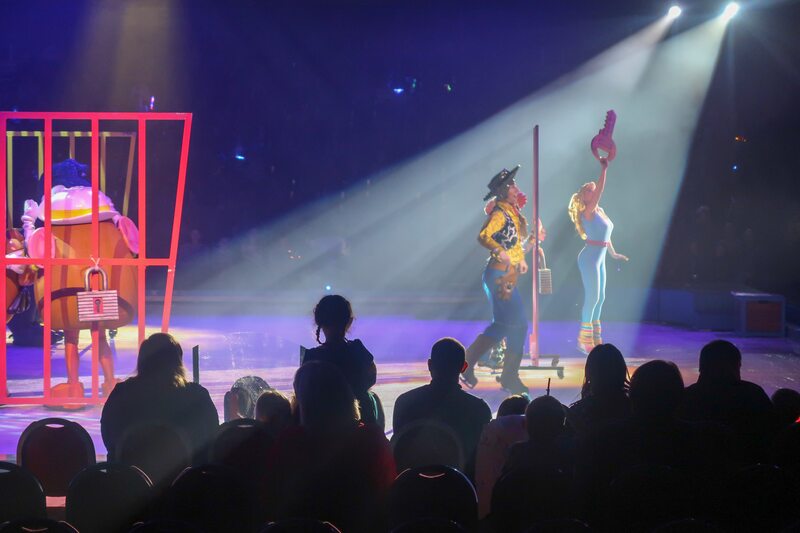 The show started of at 6.30pm, after doors opened at 5.30pm, with a 15 minute interval at 7.30 the show finished at 8.30pm. 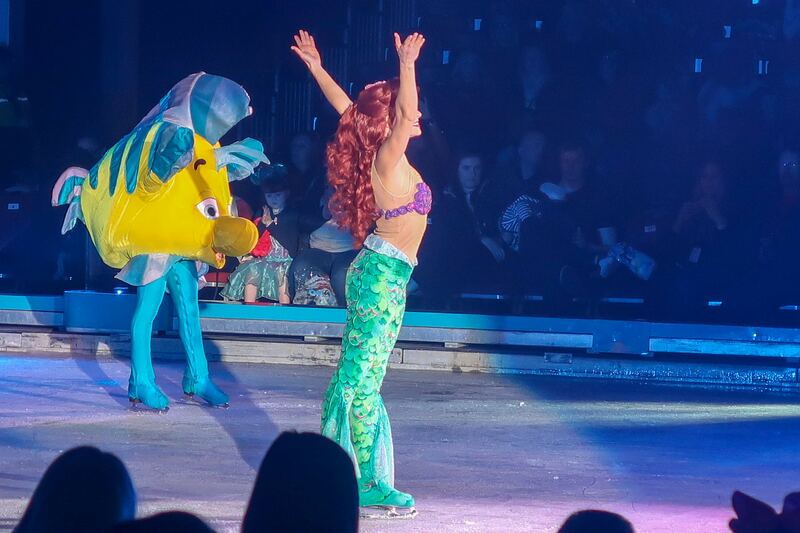 We’d like to thank Disney on Ice for having us along to the show and an enjoyable family evening out. The show is on at the Aberdeen Exhibition & Conference Centre until Sunday 6th May 2018. 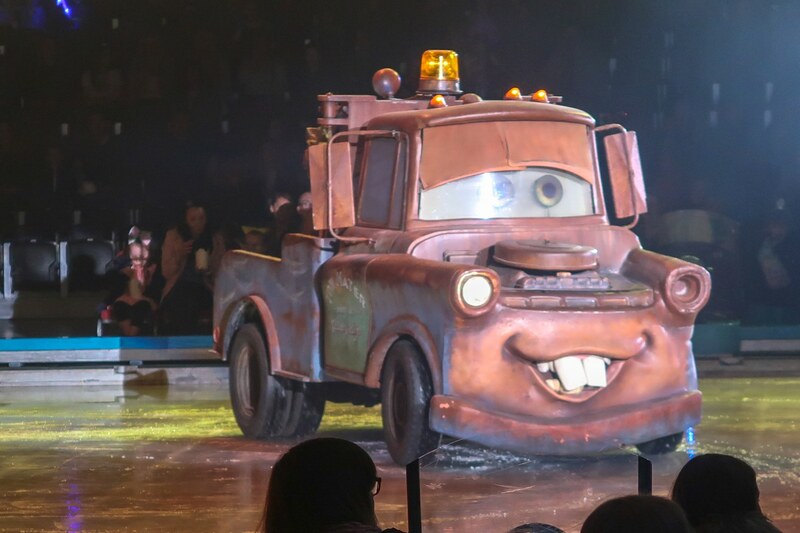 We managed to get a few clips on film which you can check out in our YouTube video – showing the amazing entrance onto the ice by Lightning McQueen!